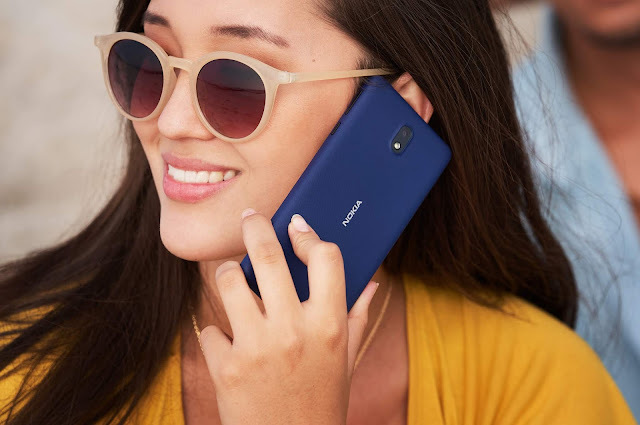 LoveNokia | Latest News and Information about Nokia Mobile: HMD Global launches the all new Nokia 105 and Nokia 130 Feature Phones!! HMD Global launches the all new Nokia 105 and Nokia 130 Feature Phones!! HMD Global has expanded its feature phone family by announcing the all new Nokia 105 and Nokia 130. Both these phone run on a Series 30+ OS and come in single sim and dual sim variants. According to HMD Global, there are more than 1.3 billion feature phone users globally that rely on feature phones to stay connected. 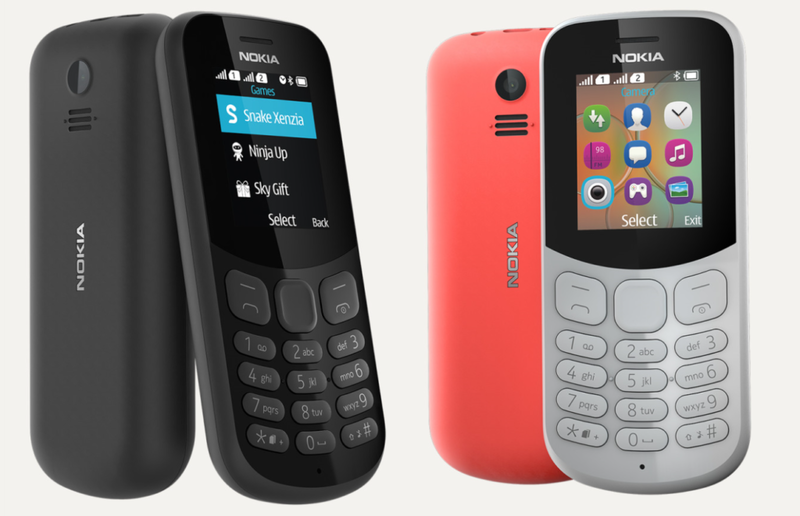 With these new affordable feature phones, HMD Global is targeting existing feature phone users and many other people who do not have a phone yet. The all new Nokia 105 has a 1.8-inch screen which is larger than the screen of old Nokia 105. The new Nokia 105 features an all new curved ergonomic design, outstanding battery life and new tactile island keymat. The phone is made out of Polycarbonate which is quite durable and will keep its color even when scratched. The Nokia 105 comes preloaded with Snake Xenzia and other two try and buy games – Doodle Jump and Crossy Road. The phone has 800 mAh battery which offers 15hrs of Talk Time and a month of Standby Time. Nokia 105 has enough storage to store upto 500 text messages and up to 2,000 contacts. The phone also come with a Flash Light and an FM Radio. 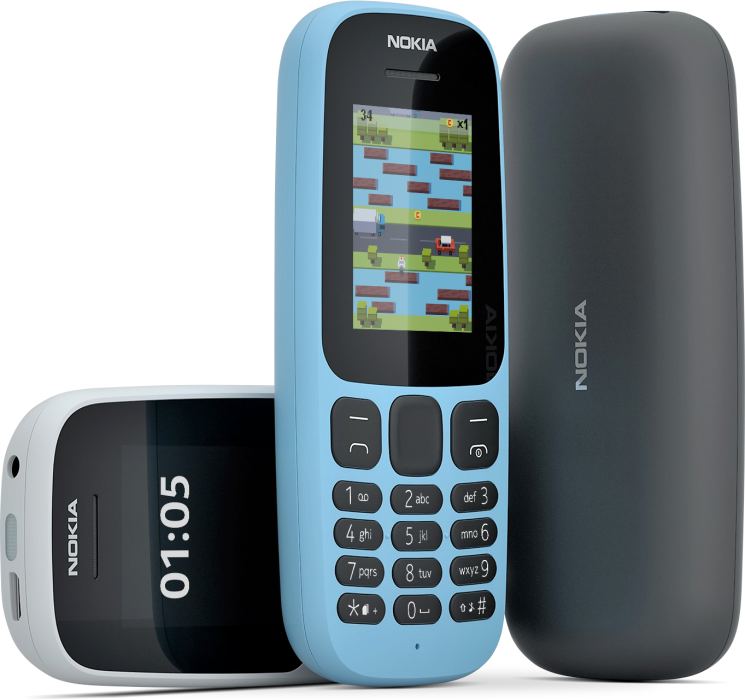 Nokia 105 will be available in White, Blue and Black color options. 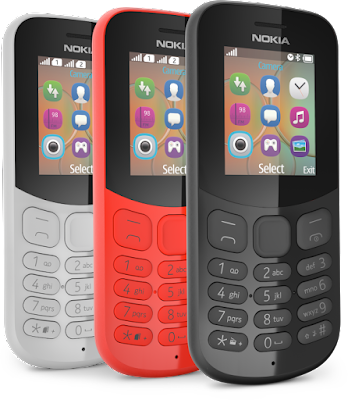 The estimated price of Nokia 105 is €12.65 ($14.50) for the Single SIM and €13 ($15) for the Dual-SIM variant. The phone will be available for purchase in India from 19th July and will be sold for a price of Rs.999/- for single sim variant and Rs.1149/- for dual sim variant. 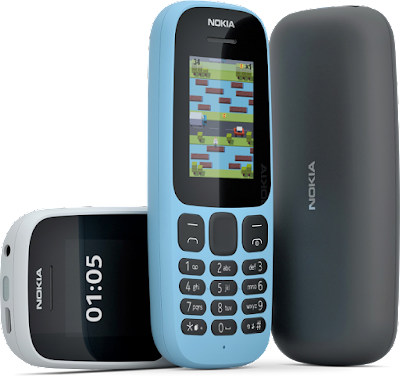 Nokia 130 is focused more on the entertainment side and comes with a built in VGA Camera, FM Radio and mp3 player. The phone comes with an inbuilt storage of 8MB which can be expanded upto 32GB using a MicroSD card. It also supports bluetooth to share files instantly. Nokia 130 is made out of durable Polycarbonate material which does not lose its colour even after getting scratched. Nokia 130 also comes preloaded with Snake Xenzia and five other Try and Buy games. It also comes with a flash light built in. Nokia 130 has a 1020 mAh battery which offers 44hrs of FM Radio Playback and one month of Standby time. Nokia 130 will be avaialable in Grey, Black and Red color options. The phone will be available in Single SIM and Dual SIM variants and is expected to retail at an average retail price of €18.80 ($21.50) excluding Taxes and Subsidies.